Feeling creative? 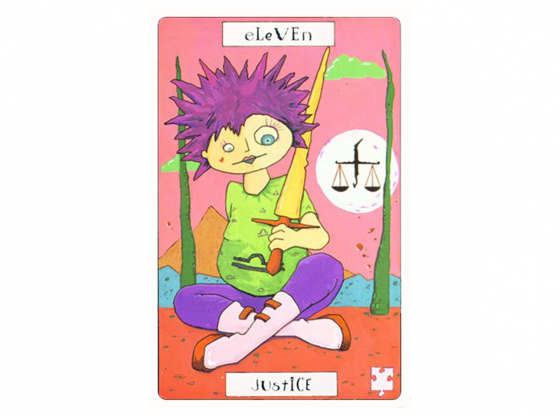 The Tarot has an expression for your efforts. 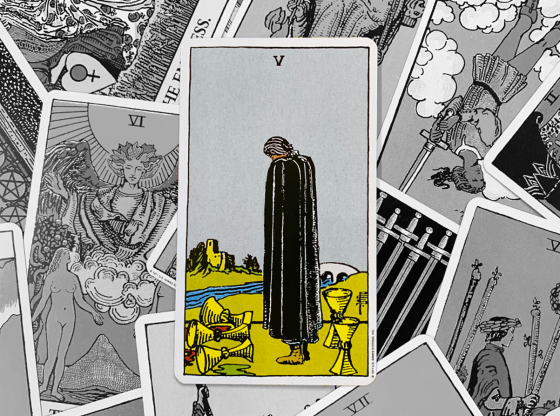 There are four suits in the Tarot deck. Swords represent ideas and communication, the cerebral plane. Cups represent our emotions. 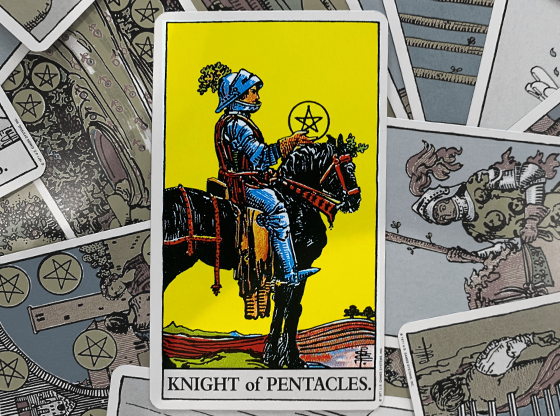 Pentacles appear in a reading to indicate our possessions, finances and everything we experience on the material plane. Wands, represented in most Tarot decks as wooden walking sticks, form the suit that makes use out of these other three conditions. Wands are the creative application of what we experience in the world to make our lives more enjoyable. When a card from the suit of Wands appears in your reading, the chance to put it all together and create something special is upon you. Wands are the part of reality where solutions seem to come out of nowhere and fit into our lives like puzzle pieces, perfectly taking us to the next level. But Wands underscore the creative impulse, the place where our cognitive brains meet our undying spirit and find solutions out of the million possibilities stored in our unconscious. Some people make great paintings, others start their own companies, and your application of creativity may simply be cooking a good meal, finding a fashion style that complements your “look” or getting a few errands done with time to spare. 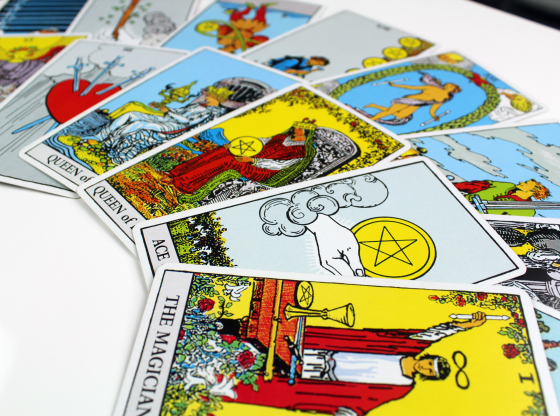 But the critical thing that your Tarot reading makes clear is that it is your creative response to the world that will be occurring. Wands are the most individualistic suit in the entire Tarot. Swords might be an inspiration for you to quote from a book that has made an impression on you. Emotions can get applied to another person easier than they are aimed inward. The material world is inherently separate from the “self.” But creativity comes from within. No matter how tangible the inspiration, it had to be filtered through you or it is not your endeavor. 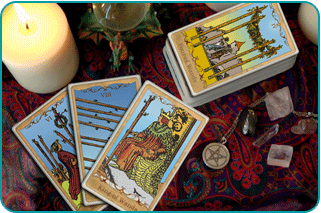 Wands speak to the person you are when you are at your most pure and actualized. 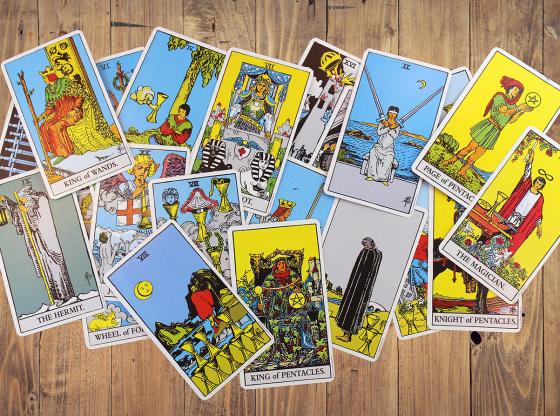 When a reading that features Wands also has some cards from the suit of Swords, your creative use of language will help with your current project or obsession. Perhaps you will seduce the man you want or give a presentation at work that earns you a raise or promotion. 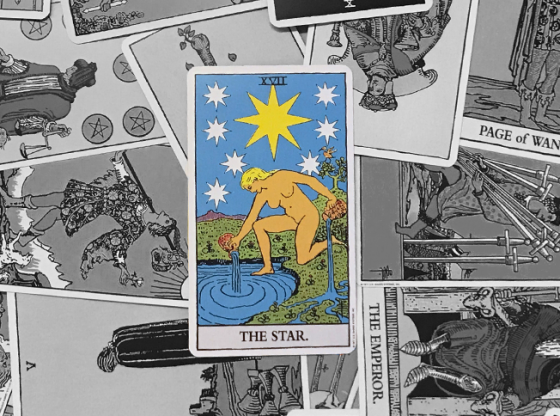 If there are cards with Pentacles on them accompanying your reading with a few Wands, you have solutions that will make you money and get you into a more comfortable place. 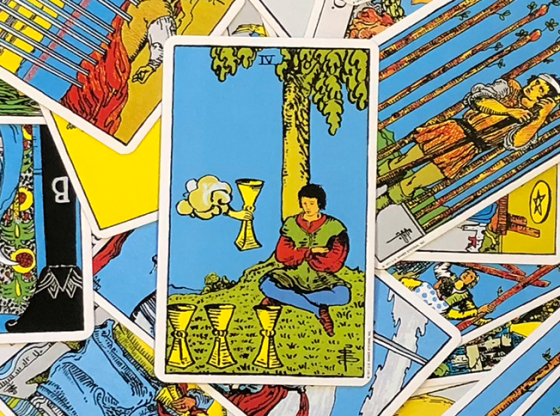 When the suit of Cups makes an appearance in a reading with Wands dominating, you soon find a way to channel your feelings into an expressive release. 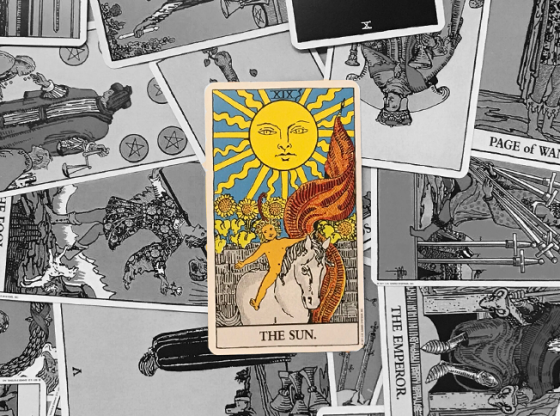 When your Tarot reading only features cards from the suit of Wands and the Tarot’s Major Arcana, you are going to be collaborating with some extremely powerful and influential people and your contributions are critical to the process. 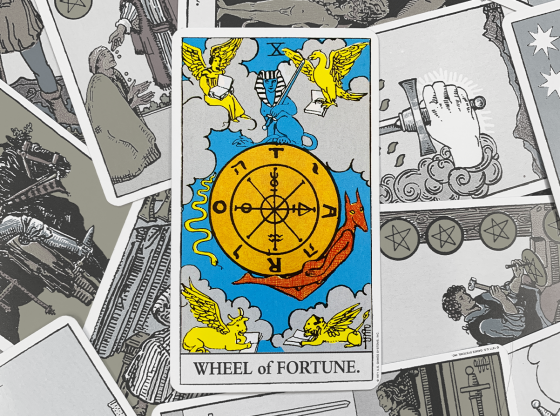 Each card from this suit has deep meaning woven into its intricate illustrations. The foundation of each of these meanings, though, is the liberating sensation you are going through when you bring a new approach to life into your world. Each card serves as a guide to reveal exactly where this creativity is coming from, why it is manifesting and how it should be best applied. 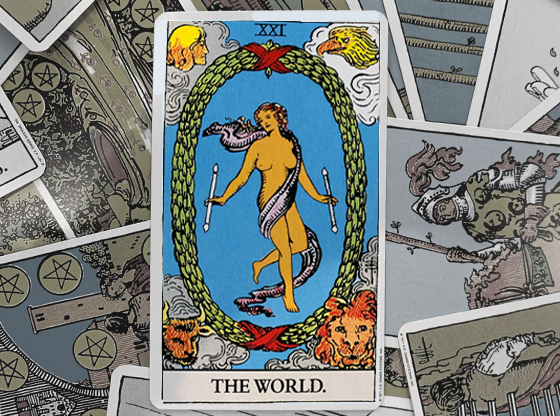 Two of Wands: This card confirms that you grasp what makes the world work in the field of your choice. Your expertise and knowledge give you a distinct advantage. Three: This is the card of creative vision. When you see what the world will need in the future and you set out to manifest it all, the Three of Wands reflects your inner certainty and aptitude. Four: The pleasant qualities of establishing a good relationship are emphasized. Partnerships and other close bondings take a creative effort to establish and maintain. Five: Play is a creative goldmine. When you are in the midst of intense opposition and challenges that do not matter in the least, you are actually attuning your mind and intuition to spotting patterns that do exist in the real world of career and social pursuits. Suddenly, when the game gets real, you are more prepared than you ever realized. Six: This is a card celebrating creative victory. When you walk along the path that fewer people take, you often lead the victory parade. The creative spirit carries the drive to triumph in many cases. This card indicates the acknowledgement of your great achievement. Seven: Your creative vision often puts you into the unenviable position of having to defend yourself to lesser people. Eight: When you are scattered and have too many creative solutions and not enough strong foundations, look for this card to appear in your Tarot reading. Nine: When your creativity is blocked, this card shows you the barriers to your breakthrough – ideas from your past that have not worked. Ten: Sometimes you just have to follow through with your creative vision no matter how much it weighs you down or sets you apart from your friends and family. Page: When you have a great idea and are quite excited about it, this Page appears. Your attachment to this idea will never be more earnest. Knight: A creative urge that arrives like lightning is indicated by the Knight of Wands. You might have to get up in the middle of the night and start painting, drawing or preparing a report for work. Queen: When your natural creative approach nourishes others, when you are able to take along many people with you on your vision for their benefit, this is the card that will appear in your Tarot reading. King: Your approach to a situation turns you into a leader. Your ability to problem solve allows you more influence than you could have initially imagined when the idea arrived.